We empower people to create memorable brand experiences. Live events are the ultimate incubator for cultivating real, meaningful, in-person connections with your audience. By giving people the opportunity to experience you in real life, you’ll exponentially build trust with your ideal clients —creating a community in the process, leading to more, happy, paying customers. Lit up by the thought of creating a live event, workshop, or retreat for your brand, but not sure where to begin? Our Event Planning Guide helps you get clear on your event vision, the impact you desire to make, and the right next steps for bringing that vision to life. It’s official! You’ll now be the first to know all of the details of the Event Planning Course as they unfold. We’re beyond excited to have you here, and can’t wait to know you in the know! Got an event planning question? We’ve got answers! Whether you’re just getting started and find yourself seeking a little guidance or have come up against an unexpected roadblock well into the planning process, we’re here to help. 1-hour of time with us can save you 100s of hours researching answers to your specific questions. 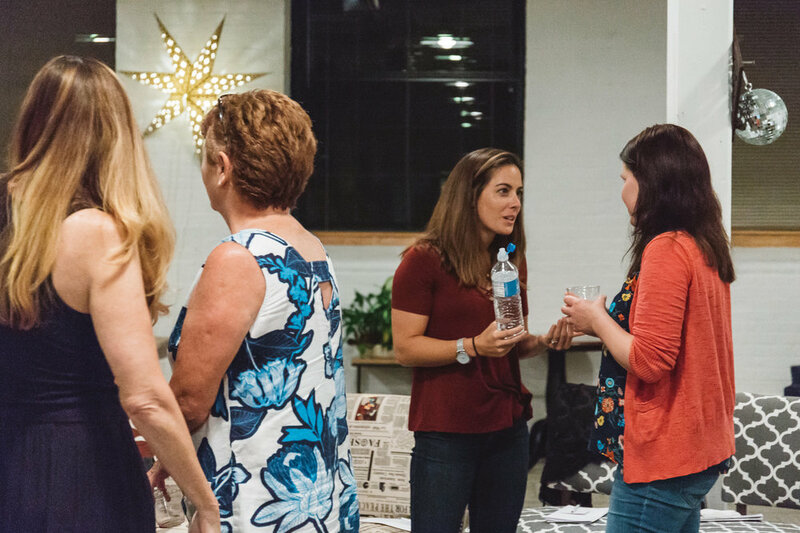 We take service-based business owners —eager to reach more people and create more impact through live events— out of overwhelm and into action. Everything you need to create a meaningful, memorable live event experience. We’ll formulate a customized experience design plan according to your brand's needs helping you accelerate & celebrate your event idea into action. Thanks so much for your message. We’ll be back in touch as quickly as possible —24-hours tops, is our promise. Until then, annnnd celebrate! Sign up to download your free guide to add more meaning & impact to your next live event, and gain access to our weekly-ish Take Note & Celebrate emails. These emails are filled with valuable resources, practical tips, and reminders to stop & celebrate along the way. Thank you for subscribing! Head on over to your inbox to confirm your subscription, collect your goodies & celebrate!